The 16th session of the NEA International School of Nuclear Law (ISNL) was held from 22 August to 2 September 2016 in Montpellier, France, bringing together a diverse international group of graduate students and professionals from across the globe to learn more about the legal framework and major issues affecting the peaceful uses of nuclear energy. Organised by the NEA and the University of Montpellier, the ISNL is a unique academic programme that offers participants from the academic, private and governmental sectors an in-depth look at international nuclear law issues affecting the peaceful uses of nuclear energy, focusing on areas such as nuclear safety, environmental law, security, safeguards and nuclear liability. This year's session was attended by 57 participants from 34 countries, including several non‑NEA member countries, many of whom received support to attend the ISNL from the International Atomic Energy Agency (IAEA) which also provided several lecturers. The ISNL has attracted since 2001 over 800 participants worldwide from an increasingly diverse range of countries, many of whom are now experts in the nuclear law field. On 31 August 2016, the Honourable Dennis Hood, Chair of the Committee of the South Australian Parliament and Member of the Legislative Council, and representatives from the Committee met with the NEA Deputy Director‑General and Chief Nuclear Officer Dr Daniel Iracane and staff to discuss the possible development of nuclear energy-related activities in South Australia, with a main focus on radioactive waste management. Discussions addressed a wide range of associated issues, including safety, economics and international regulatory frameworks. The NEA wishes to thank the Committee for the visit which enabled detailed exchanges of information and ideas. The NEA High-level Group on the Security of Supply of Medical Radioisotopes (HLG-MR) met on 19‑21 July 2016. During the meeting, participants reviewed market demand and projections for molybdenum-99 (99Mo) irradiation and processing capacity for the period 2016‑2021. An Association of Isotope Producers and Equipment Suppliers (AIPES) representative also gave a briefing on recent market performance and near-term planning of capacity co‑ordinated by an AIPES Working Group. Participants noted that supply has been reliable, without disruption to health systems, and that capacity is expected to continue to meet demand, although with some periods of risk if there are any unexpected facility outages. Overall, baseline capacity from existing producers has increased and projections remain positive despite the shutdown of the OSIRIS reactor in France and the planned cessation of routine production at the National Research Universal (NRU) reactor in Canada. Information was also provided on new capacity based on technologies that do not require highly enriched uranium, which also contribute to international nuclear non-proliferation efforts. Participating members recognised that more work is needed to fully implement full-cost recovery pricing and to encourage new production infrastructure in order to ensure the long-term sustainable supply of this important medical radioisotope. The NEA Working Group on Analysis and Management of Accidents (WGAMA) held the fourth edition of the THICKET seminar on 27 June-1 July 2016 in Budapest, Hungary. This seminar series aims to transfer the competence, knowledge and experience gained through the NEA Committee on the Safety of Nuclear Installations (CSNI) activities in the field of thermal‑hydraulics. Hosted by the Hungarian Academy of Sciences Centre for Energy Research (MTA EK), THICKET-4 was attended by 30 participants representing 12 countries and 22 organisations. The seminar programme included lectures on the achievements of the CSNI in the field of thermal‑hydraulics; modelling, scaling and validation matrices for system codes; CSNI follow-up on system code applications and uncertainty evaluation; computational fluid dynamics (CFD); and coupling of system thermal‑hydraulics and neutronics, CFD and structural mechanics. The WGAMA plans to organise the next THICKET seminar in 2020. The Generation IV International Forum (GIF) is hosting a series of monthly webinars from September 2016 to September 2017 on the development of Generation IV nuclear energy systems, addressing the fuel cycle and other cross-cutting topics. The webinar series will be launched on 29 September 2016 with a presentation by former GIF Chair Dr John E. Kelly on "Atoms for Peace – the Next Generation". The presentation will provide a historical perspective on the Atoms for Peace programme, which launched the development of nuclear power around the globe, and describe the current outlook for the development and deployment of the next generation of nuclear power. More information on the GIF webinars, as well as on the other education and training activities organised by the GIF, is available at www.gen-4.org. Did you read the NEA News article on assessing the full costs of electricity in today's evolving markets? Three major forces are compelling the move away from the methodological assumption that levelised costs of electricity (LCOEs) alone can provide an adequate picture of the generating costs of electricity. 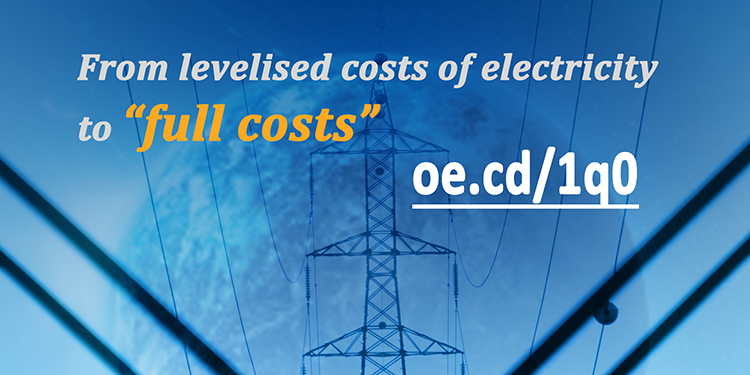 To find out more, see the article in the latest issue of NEA News on assessing the full costs of electricity in evolving electricity markets oe.cd/1q0. On 6-7 July 2016, the NEA Expert Group on Fukushima Waste Management and Decommissioning R&D (EGFWMD) held a workshop in Tokyo, Japan to discuss waste management and decommissioning issues to be addressed at the Fukushima Daiichi nuclear power plant and to share the results and recommendations of the Group's final report with experts from Japan. The report is based on expert experience and lessons learnt from the remediation and decommissioning following accidents from the past, such as Chernobyl and Three Mile Island, and contamination situations as in Sellafield. The workshop was attended by 70 participants and featured 20 presentations and three panel discussions. Participating experts noted that the Government of Japan is now working on the characterisation of radioactive waste generated from Fukushima Daiichi accident and concluded that further international and national co‑operation is needed. The Group's final report is expected to be issued in the coming months. The transition of a nuclear facility from operation to the implementation of dismantling is a critical phase in every decommissioning project. An early engagement of stakeholders and clear definitions of requirements for the transitioning by the competent authorities, as well as a harmonisation of the regulatory approach between competent authorities involved, can reduce the transition time and efforts, and generate cost savings for the decommissioning project. On 11‑13 July 2016, the NEA Task Group on Preparing for Decommissioning during Operation and after Final Shutdown (TGPFD) held its third meeting to continue its efforts to identify such activities and measures to optimise the preparations for decommissioning and dismantling by comparing the experiences of NEA member countries. Observations, good examples and recommendations in terms of strategies for decommissioning preparation, the regulatory framework and the licensing process, stakeholder interactions, decommissioning planning and organisation, and pre-dismantling activities will be summarised in a report which is expected to be issued in 2017. 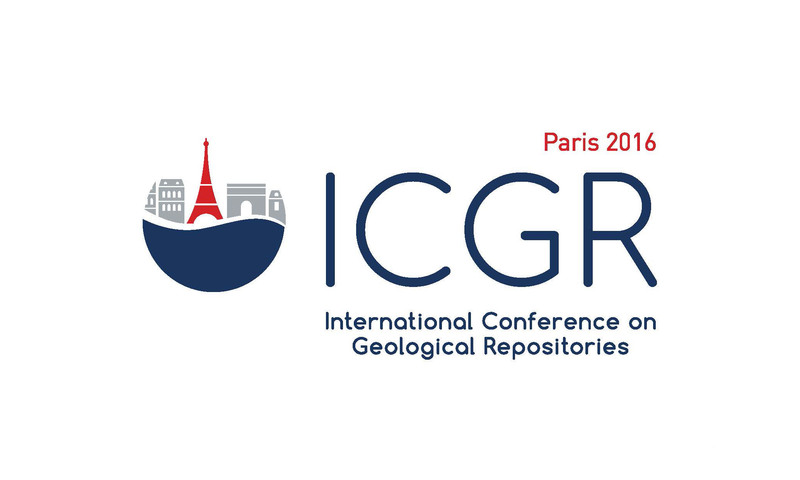 Hosted by the NEA, the fifth International Conference on Geological Repositories (ICGR) will take place on 6‑9 December 2016 in Paris, France. The conference, on "Continued Engagement and Safe Implementation of Geological Repositories", aims to take stock of progress made since 2012 in developing and implementing geological repositories for long-lived radioactive waste, and to facilitate mutual learning through exchanges of international perspectives and experiences. It will convene senior-level decision-makers from countries with active programmes for deep geological repositories and provide a forum to explore how the various actors manage the implementation of repository programmes in their countries. For more information and to register, visit www.icgr2016.org. Finland began planning and preparing radioactive waste management and disposal measures as early as the 1970s, during the procurement and construction phase of its first nuclear power plants. In November 2015, Finland's government became the first to approve the construction of a permanent radioactive waste disposal facility. An article in the latest issue of NEA News provides a brief overview of the project and some of the technical solutions developed for the long-term performance and safety of the repository. Read the article here: oe.cd/1q0. While Germany adheres to the Paris Convention (PC) and is therefore a party to a community of 15 states all following the same principles embodied in this Convention, the German system of nuclear third party liability nevertheless has some marked characteristics. The country is thus an object of considerable interest in the international nuclear law community. 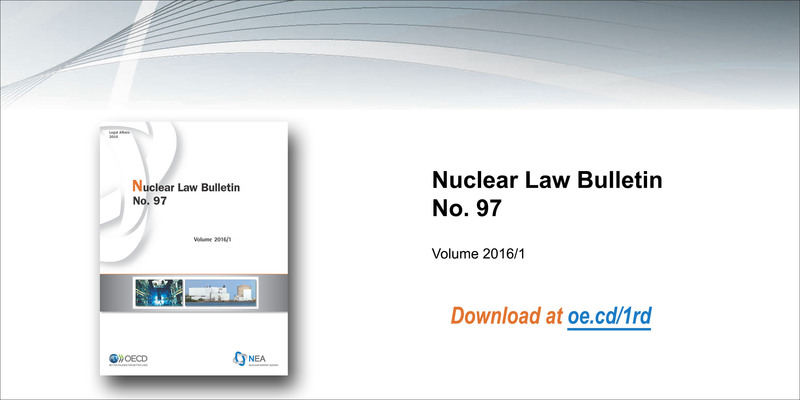 An article in the latest issue of the NEA Nuclear Law Bulletin provides a comprehensive overview of the nuclear third party liability regime in Germany, covering its history and features, including the extent and amount of liability, the type of cover, the operators' pool system and the insurance coverage. The article argues that nuclear third party legislation in Germany has been at the vanguard of developments and trends in the international community with a tendency to give the greatest possible benefit to victims and in parallel to achieve a "normalisation" of the nuclear liability regime without stifling the industry. Read the article here: oe.cd/1rd. 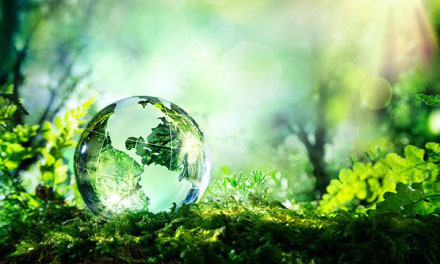 The Convention on Environmental Impact Assessment in a Transboundary Context (the Espoo Convention) sets out the obligations to assess the environmental impact of certain activities at an early stage of decision making. It also lays down the general obligation for parties to notify and consult each other on all major projects under consideration that are likely to have a significant adverse environmental impact across national borders. The purpose of the Espoo Convention is to enhance international co‑operation and allow environmentally sound decisions to be made, paying careful attention to minimising significant adverse impacts, particularly in a transboundary context. See this article in the new issue of the Nuclear Law Bulletin for information on the relevant provisions of the Espoo Convention applicable to nuclear energy-related activities: oe.cd/1rd. 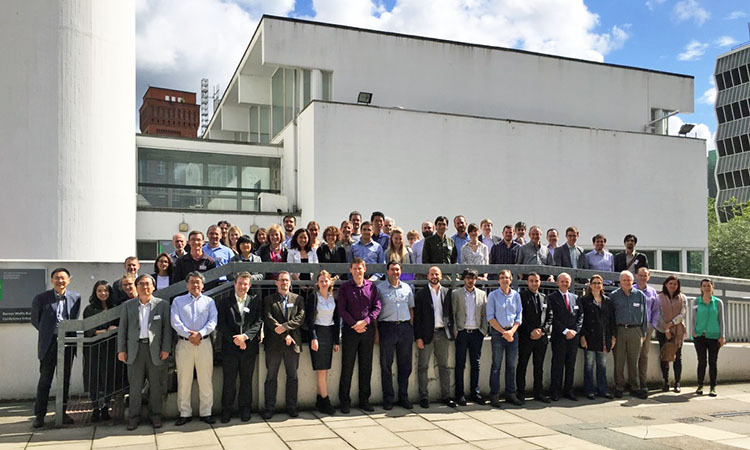 On 11-14 July 2016, the NEA held the fourth International Workshop on Structural Materials for Innovative Nuclear Systems (SMINS-4) in Manchester, United Kingdom. 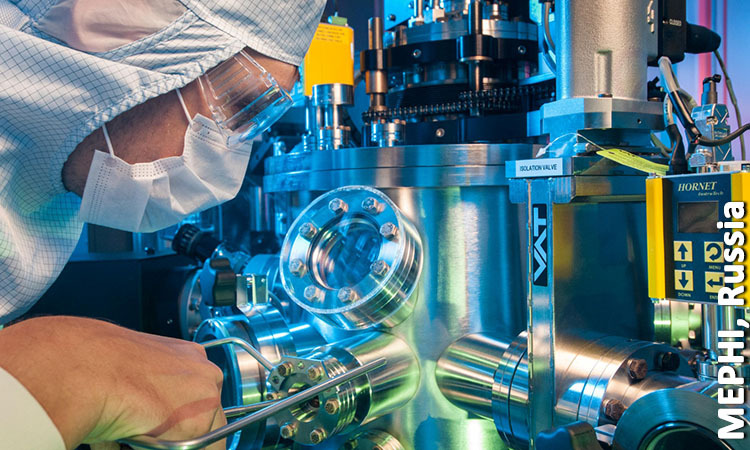 Hosted by the University of Manchester, the workshop was attended by more than 100 participants and featured presentations on metal alloys, novel materials, fusion materials, ceramics and fundamental studies for innovative systems, as well as a discussion on ion versus neutron irradiation. 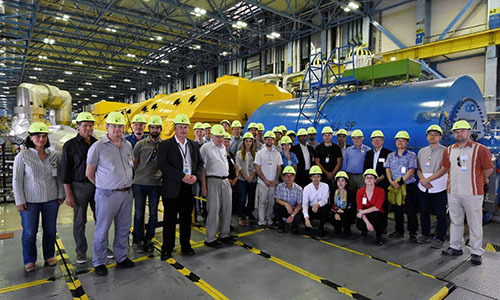 Participants concluded that the development of innovative nuclear systems requires extensive research to find, qualify and codify materials that are able to withstand extreme demands in terms of temperature, high neutron flux, corrosive environment and lifetime expectancy. In most cases, the viability of these concepts relies on the possibility of obtaining such materials. Participating experts agreed that these challenges require comprehensive tests and in-depth investigations of structural materials, and the extensive characterisation of candidate materials requires a joint effort by the international community. In addition to the experimental testing, a strong emphasis should also be placed on developing modelling. Participants also agreed that a full qualification of the materials will not occur until it can be done in a demonstration reactor. They concluded that it is very important to not forget what was done in the past and to preserve the current scientific knowledge accumulated over the past decades. 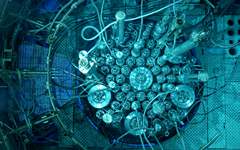 The current talent base in nuclear technology and science has developed over a period of several decades in many countries. However, a large percentage of that generation of talent is at or nearing retirement age. How is the NEA helping countries to address the challenge of ensuring that they have the scientists and engineers needed to support the continued safe use of nuclear energy? 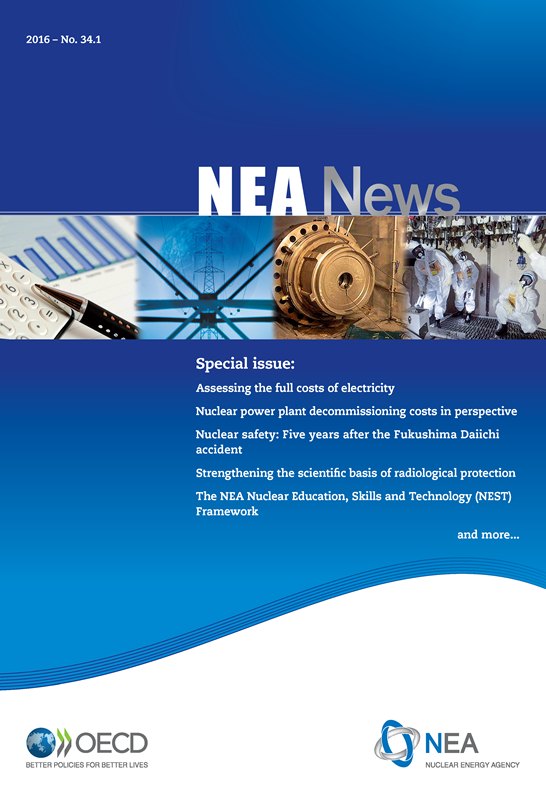 Read in the latest issue of the NEA News:oe.cd/1q0. An online archive of previous editions is available here. The monthly bulletin only lists new and updated material. It is distributed by e-mail to registered users of the Nuclear Energy Agency's Online Services. Registration is free; please use this link.